Nose: Aromatic: Notes of white fleshed fruit, citrus, and cocoa. Aeration brings hints of liquorice and pepper. Palate: Forceful, with the flavors of white fruit becoming even more evident. Highly developed liquorice comes to the forre, followed by roasted coffee and pepper. Extremely long on the palate. The Pasquet Très Vieille Réserve Grande Champagne Cognac is a delightfully old Cognac that will take you on a wonderful sensory journey. First, enjoy the deep cashew nut color, before indulging in the intense aromas. It’s quite a forceful Cognac on the palate, but well balanced and complex. Made solely from Grande Champagne eaux-de-vie, it’s a wonderful example of why this is the most sought after terroir of the whole Cognac region.The youngest Cognac in this blend is from 1974 and the older age is unknown, but by 1974 it had already spent a very long time in the cellars. This is certainly not a Cognac to be rushed. Give it the time it deserves, and the Très Vieille Réserve will introduce you to both sweet and spicy, aspects a great Cognac should combine. 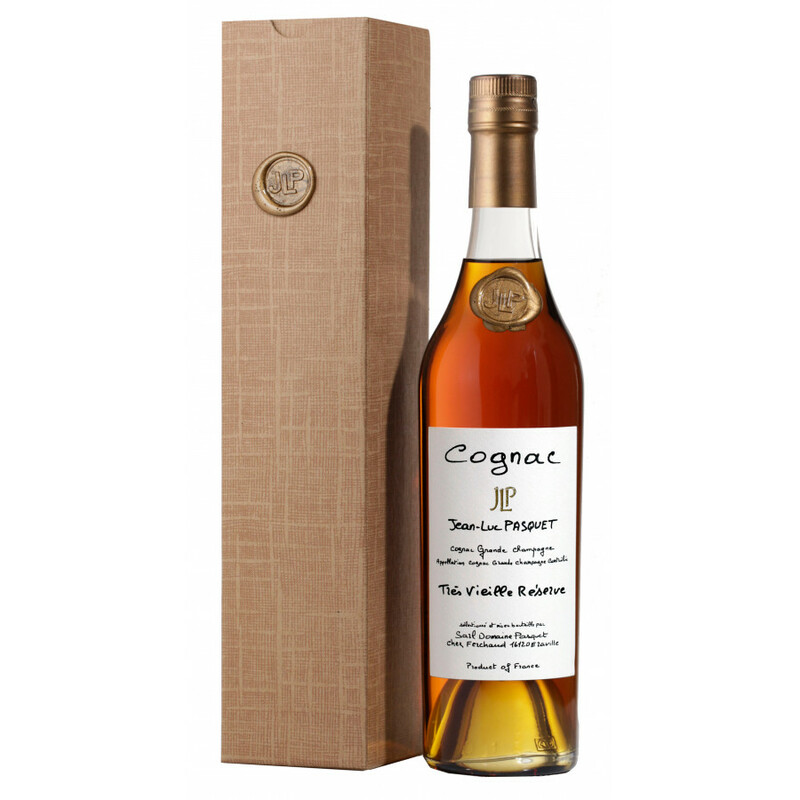 With an elegant bottle and label, this is a Cognac that lets the taste do all the talking. Definitely one to be brought out on a special occasion. Wow, a fantastic nose. I must admit the palate is slightly masculine but again the finish is great great great. And people, this is a Hors dage so that means it's "out of age".. too old to be qualified as a XO or extra. If you love small producers in the Grande Champagne heart region of cognac.. try this one.